I’ve been having a lot of fun lately on the AtariAge forums. Reading about people experimenting and creating homebrew projects with old 8-bit game consoles and computers really makes me nostalgic. Because of this, and because I just bought myself a new computer, I thought I would take a look back at all of the computers I have loved and lost. I was fortunate enough to grow up in the early 80’s, when computers were just coming out of the universities and major corporations into the average homes, businesses and schools of the world. Even in the low-rent area of the Mojave Desert where I grew up, my elementary school had a computer lab filled with Apple IIe’s and the occasional Commodore 64. I was fascinated by everything that had to do with this amazing machines. So when I turned seven years old in 1986 and my dad told me he bought me a computer, I was so excited. Was it an Apple? Was it a Commodore? Was it a TRS-80, a TI-99/4A, or an Atari 800? Was it like the incredible Tandy 1000 my cousin had? Um… no. 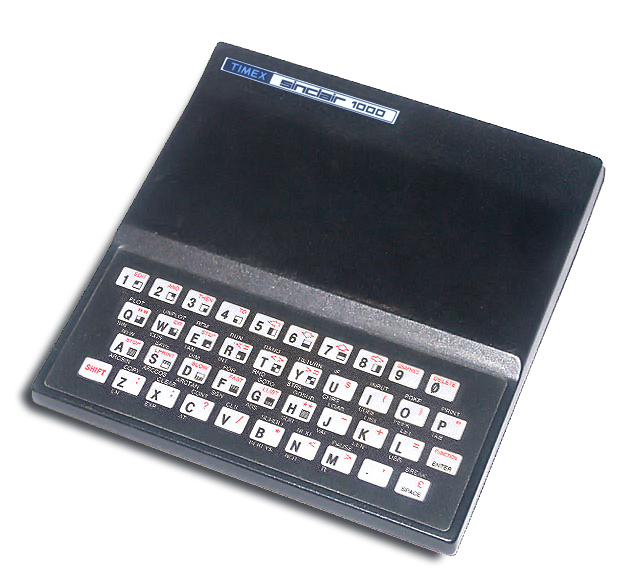 It was a Timex Sinclair 1000, the US version of the Sinclair ZX81. My dad, bless his heart, didn’t know a thing about computers, and he saw this one at a Thrifty Drug, of all places, at a liquidation sale and thought I would love it. I had never ever heard of this computer before, and there was a reason. It was a piece of crap. 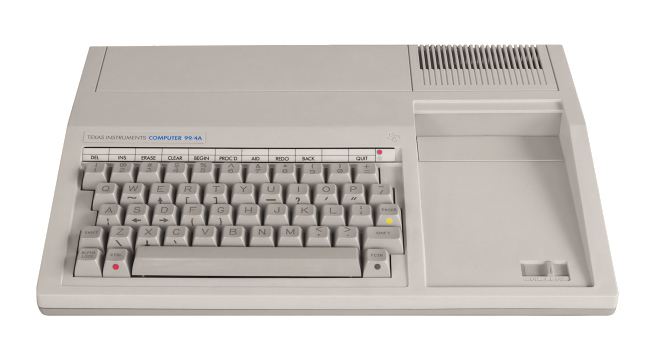 It had 2 KB of RAM, a black and white only display, and a membrane keyboard (like the ones on your microwave oven) that required herculean strength (at least to a seven-year-old) in order to register any keypresses. It was an incredible disappointment. It didn’t play King’s Quest, Oregon Trail, or Epyx California Games. In fact, we couldn’t get anything to play at all. We spent hours trying to get the “Mixed Grab Bag” software to load from the cassette that came with the computer. I did some of the BASIC exercises in the manual, but soon enough it went into the closet, and I went back to my Atari 2600. It would be years before we had another computer in the house. Our family moved a lot and we didn’t really have a lot of money. But I was very happy that a friend of my mother’s gave me a TI-99/4A and a whole bunch of stuff for it for free in the early 1990s. Her son was blind, and her husband had tried to create a program with the TI’s speech synthesizer module in order to help him communicate with the outside world. But her husband had died, and her son hated the voice that came out of the computer. He said it was too creepy and gave him nightmares. So even though it was very obsolete at this point and everyone I knew had already moved on to Amigas and Macintoshes and 286 and 386 PCs, I gave it a good home and set out to plumb its secrets. Since having a computer that could speak to you was a novelty to me at the time, I used the Speech Synthesizer, mostly to hear it say profanities, to laugh at how it poorly pronounced words, and to creep out my friends and family with its clipped, robotic monotone. I also programmed a lot in the included BASIC and the TI Extended BASIC cartridge. I used it to do my math homework. I didn’t have a fancy graphing calculator to do trigonometry homework, so I wrote my own graphing program. I also wrote a program to do matrix multiplication, which was easy when I figured out that a matrix was just a two-dimensional array of variables. Any four-year-old with a copy of Microsoft Excel can multiply matrices in two seconds, but I didn’t have a spreadsheet program, so I had to make do. Later on, into high school, I also used it to create various graphics and sound demos which would play during my school’s weekly student-made news broadcast. Unlike the PC, it was easy to get stuff from the TI-99/4A onto a tape because it hooked up directly to a TV. I was very fond of the three-channel music you could get out of the TI’s sound chip, and spent many, many hours typing notes from sheet music into a BASIC program so I could hear Mozart and the Beatles played in tinny beepy amazement. I wish I had some of this stuff now to show you guys, but all those tapes went into a shed in the back yard that unbeknownst to us, became a impromptu chicken coop. This is nothing I did, but it’s a good demonstration of the kind of sound demos I was doing on the TI-99/4A at the time, plus it’s pretty darn cool! 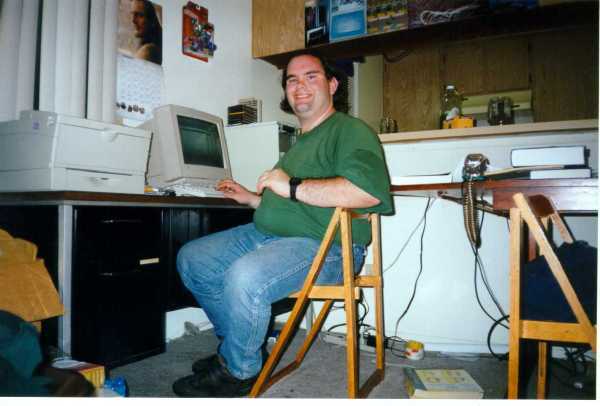 And I and my parents knew that this tiny computer wouldn’t carry me through high school, and especially not college, where something called the “Internet” was quickly becoming a big deal, and news of which had reached the lips of people even in my tiny town 30 miles from the closest T1 line. So my parents went into debt and bought a used IBM 286 for about $500. It was built like a tank and was nearly as large. It came with 1 MB of RAM, a 40 MB hard drive, and MS-DOS 6.22. 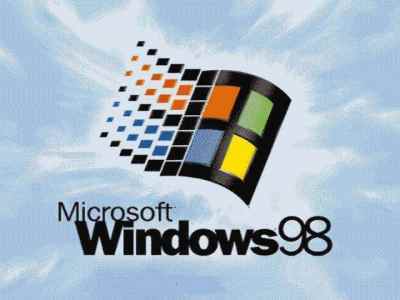 Windows 3.1 also came pre-installed, but the speed at which it ran made GEOS on a Commodore 64 seem fast by comparison. Even though it was super-slow compared to the 386s and 486s at my high school, it was still a “real computer,” and that made it awesome. 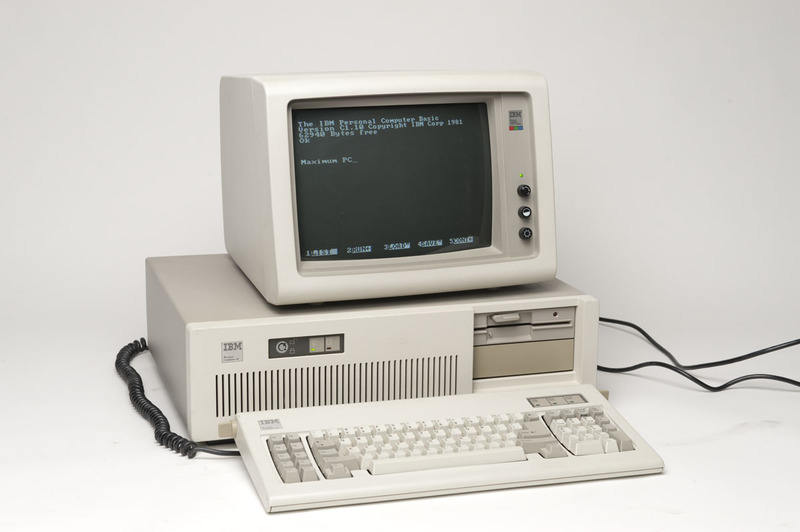 I could type papers in WordPerfect 5.1 on a full-size display and a full-travel keyboard (one of the original IBM Model Ms with the clicky keys, wish I still had it) and print it out on the behemoth Epson dot-matrix printer we had or on the laser printers at school. I could do crude desktop publishing; in fact I helped one of my father’s friends make a newsletter for her church. I could use Quattro Pro to do math problems and basic accounting. I could design flyers for school events in Windows 3.1 Paintbrush. I could play a lot of the Tandy 1000 games that my cousin had, although it was still too slow for Wolfenstein and Doom. I didn’t do much BASIC programming for it though… there was never really much call for it. I already had all the programs I needed, and the ones I didn’t have (like Internet access) were far too complex to be cobbled together with my juvenile computer skills. I couldn’t take the behemoth to college with me, because it was already several years out of date by 1996 and would have been nearly useless to me because everyone in college was running Windows 95 and getting on the Internet, neither of which the 286 could do. Also, my mom needed it for her own paper-typing and bookkeeping. So I took some student loan money and went on a shopping spree to egghead.com, the precursor to the famous NewEgg. I bought a refurbished, no-name AMD-K6 233 MHz (a Pentium clone) machine with 32 MB of RAM and a 2 GB hard drive, a 15″ VGA monitor, and a 100 MB Zip drive (remember those pieces of crap?) for $600 in 1997. Even though it was woefully underpowered even compared to machines of the time, it was the first computer I ever purchased with my own money, and it was my near-constant companion throughout my turbulent college career and for many years afterwards. I had upgraded to WordPerfect Office 8 (because then, as now, Microsoft Office was prohibitively expensive) and was churning out papers like nobody’s business. 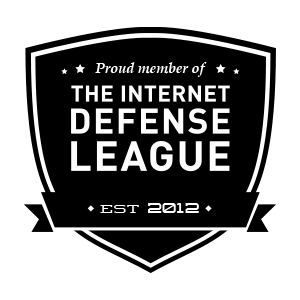 I was exploring the Wild West of cyberspace on dialup, reading primitive webpages about Mr. T eating people’s balls and Barney the Dinosaur being the Anti-Christ. (Lolcats and Youtube had not yet been invented.) I was discovering my sexuality through web content my parochial, small-town conservative upbringing did not in the least prepare me for. I had also discovered the amazing concept that you could use a computer to emulate other computers, and I put hundreds of hours into playing classic video games via early DOS-based emulators such as Nesticle and Genecyst. But not all was fluffy digital clouds and CGI rainbows in my computer world. My cheapo clone was poorly built and sometimes the CD-ROM drive or power supply would just stop working… and then start again. After upgrading to Windows 98, every system upgrade after that seemed to make my computer slower and less useful. Making contemporary 3D games run on my computer and its “Voodoo” graphics card required more peeks, pokes, and undocumented feature exploits than Commodore 64 assembly programming. And I also lost more than one term paper due to the Zip drive’s famed “click of death” or worse, from a computer virus. Computer viruses ran rampant through our university networks, and in the mid-to-late 1990s, they were mutating faster than famed bespectacled nerd Peter Norton or famed fugitive nutcase John McAfee could fight them. After reloading everything onto my computer from dozens of CD-Rs for the ninth time and crying myself to sleep, I started to wish for the good old days of the TI-99/4A when I didn’t have to worry about this crap. But then, I learned that not everyone at my school was having the same problems I was with their computers. 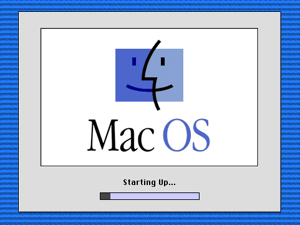 Many of my classmates in the Computer Science program had Macintosh systems with PowerPC chips. My friend Jeremy had a PowerMac 6100, that even though it only had a 60 MHz processor, still ran rings around my 233 MHz Pentium clone. For starters, he could play MP3s, have a web browser open downloading a file, and play a video game at the same time–something my poor machine struggled to do. And Macs didn’t get viruses, or so he said.